It has come to our attention that we cannot get away from art collecting and collectors. 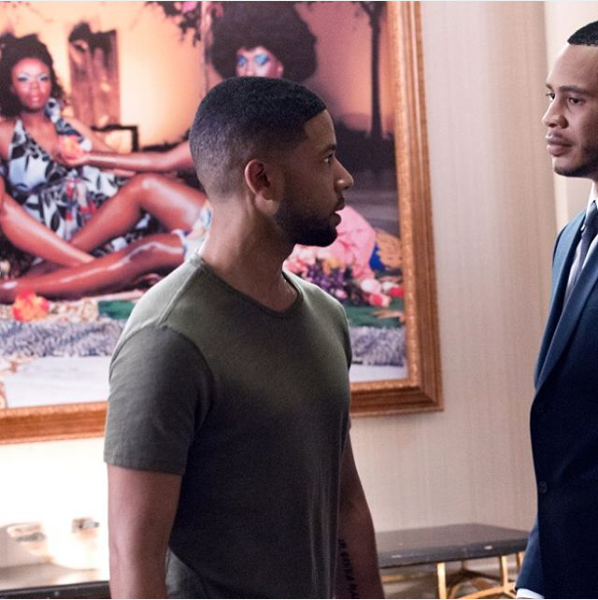 Our obsession appears to follow us after working hours…as we watch the new hit TV series, Empire. Although it is filled with attention-grabbing plots and twists, thrilling rivalry and cut-throat characters, we still manage to notice certain show-stopping art gems in the background. Thus began our treasure hunt. Terrence Howard’s character, Lucious Lyon, did not only create a record label from scratch but also an art collection, hanging monumental pieces in his office and in his majestic house. It’s one of the rare TV series where artworks have a strong presence in the scenography, especially by a celebrated generation of black artists. 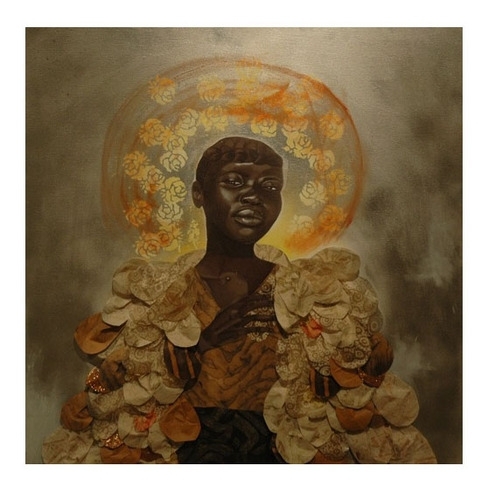 Additionally, Empire has enabled emerging artists to gain great representation as each scene shows off their works’ powerful imagery, all the while complementing and reflecting the characters personalities in the show. As the rap-dynasty drama airs its second season currently on FOX Television, Larry’s List investigates which artists Lucious Lyon is collecting. Image from Mickalene Thomas’s Instagram. 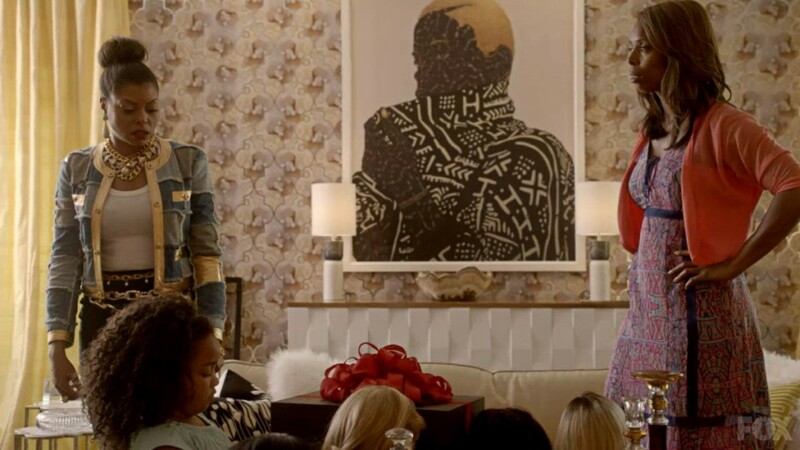 The exciting New York based artist, Mickalene Thomas had her work featured in the newly released second season. Her piece “Le Déjeuner Sur L’Herbe: Trois Noir Femmes” was spotted in its first episode. Thomas is a contemporary African American artist, known for her complex paintings made of rhinestones, acrylic and enamel. Being known for portraying black women through photography and mixed media, she explores the complex notion of beauty and what it means to be a women. Works by Jean Michel Basquiat dominate Lyon’s office at his company “Empire” as we identified the signature crowns and scribbles on opposite walls. The collected works are an important aspect of the office’s setting as they draw a parallel between Lucious’s and Basquiat’s narrative of coming from a poor and difficult background. The hip hop portrait artist is an art world and A-list celebrity darling, being collected for instance by actor Neil Patrick Harris among others. 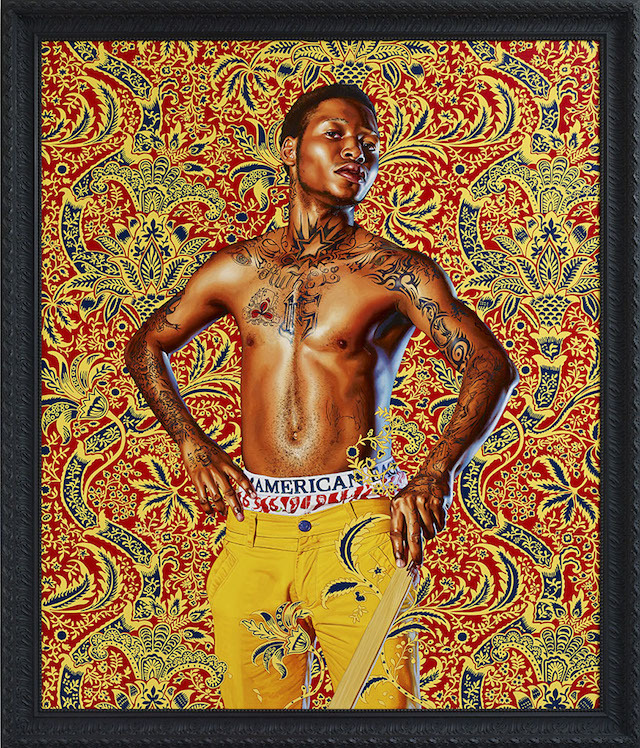 And how can he not be, painting images of young black people inspired by grand historical portraits with dazzling flower-patterned backgrounds, are indeed hard to forget. Which is why we could not help but notice them in the very first episode. The first artwork spotted during the show’s first season is “Prince Albert, Prince Consort of Queen Victoria’ by the artist’s ‘World Stage’ series. It appears in the dining room where Lucious Lyon tells his three sons, they’re in competition with each other to take over the company. The piece later moves to the living room as a reminder of pride. More paintings by Wiley reveal themselves throughout the first season such as “Le Roi à la Chasse” and “Naomi and her Daughter” to name but a few. The piece “Wings Not Meant To Fly” by Detroit born artist Jamea Richmond Edwards is one of the central pieces in the living room at the Lyons household. Her artworks are powerful and autobiographical, inspired by the women in her family who mostly struggled with drug addiction. Edwards is recognised as an outstanding emerging artist and is collected eagerly by individuals and museums. The Nigerian-born contemporary artist Toyin Odutola proudly announced on her Facebook page that her chalk drawn self-portrait “Hold It In Your Mouth A Little Longer” appeared on the series’ second season. 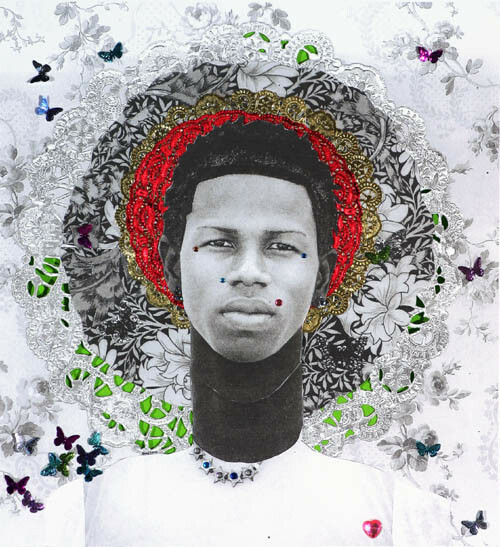 Odutola focuses on identity and the sociopolitical concept of skin colour through her pen and ink drawings. 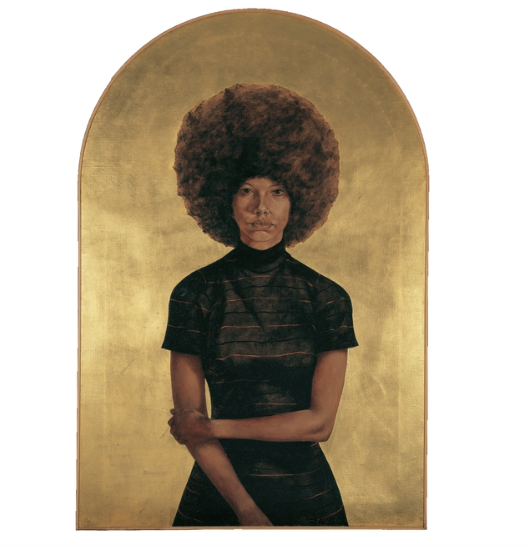 The oil and gold leaf painting “Lawdy Mama” by the grand painter and photographer Barkley L. Hendricks appeared in the second season’s most recent episodes. The gallery Jack Shainman even instagrammed the piece to its fifteen thousand followers with the caption “Did you catch the lovely ‘Lawdy Mama’ on Empire last week?” Hendricks is a pioneer in black portraiture creating life-sized paintings of urban black men in empowered, classical depictions. 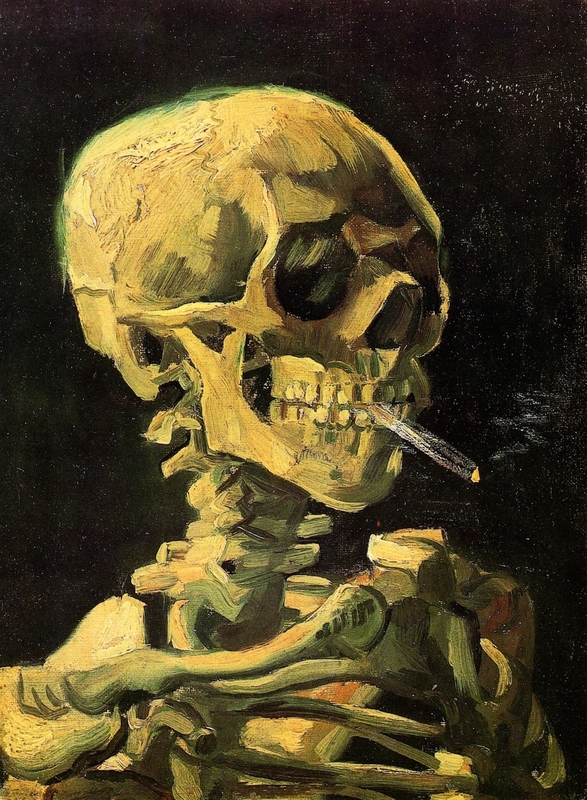 A piece by the Dutch artist titled “Skull With A Burning Cigarette” was also spotted. This work is an undated painting by van Gogh and it is part of the permanent collection of the Vincent van Gogh Museum in Amsterdam. It is possibly an overt sympbol of Lucious’s struggle with death as he copes with his ALS disease. One could easily catch a glimpse of Claude Monet’s “House of Parliament” impressionist painting in one of the wide corridors at the Lyons, owing to the artist’s recognisable rosé hues of sunset. The London Houses of Parliament were often present in Monet’s body of work in the 1900s. Each of the works captured the same view at different times of day and weather conditions. The first appearance of this Klimt piece is unforgettable. 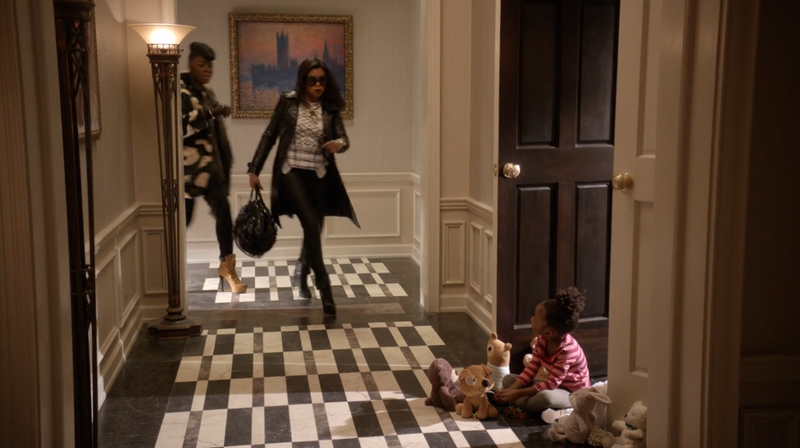 Lucious’s ex wife, Cookie, called it “ugly” after being told who the artist was. The painting is “Hygiciaor Medicine”; a great mural piece that was once the ceiling of the University of Vienna’s Great Wall. 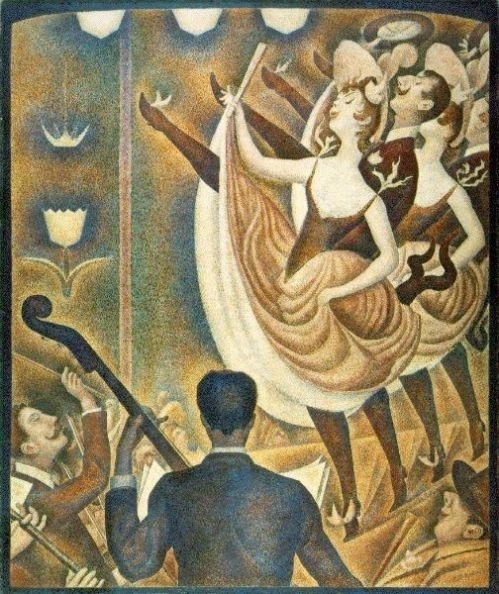 George Seurat’s “Can-Can (Le Chahut)” is unmissable in the first season. The pointillist painting is high perched in the dining room, overviewing the dining table. In this piece, Seurat gathered all the elements that interested him from contemporary culture and redefined them all in his own terms of geometry, colour and harmony.